Cover all your bases at the communal bird feeder with Birds Gone Wild. This high-energy mix features a premier blend of seed, peanuts and soybean oil. 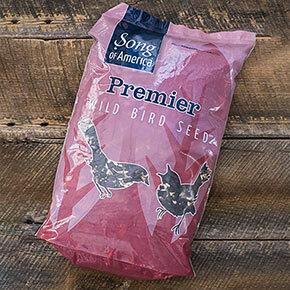 It's perfect for sustaining a wide variety of different birds—it will entice song birds to your feeder you may not even have known were in the neighborhood. 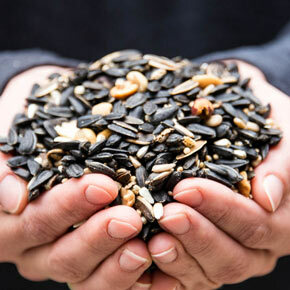 This selection is high in the proteins and fats that are necessary for overwintering birds, so you can establish your garden as a reliable food source that they'll be sure to revisit. This year, we searched for the best new seed mixes to add to our birding line. We were proud to partner with a USA-based manufacturer that met all of our expectations for a healthy, high-quality birdseed mix—we believe the Birds Gone Wild mix will meet yours, too. 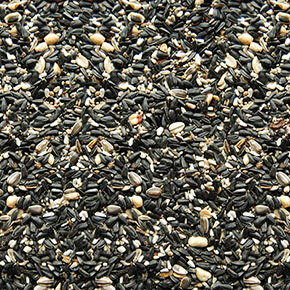 This mix includes Black Oil Sunflower, White Millet, Premium Chips, Safflower, Stripe Sunflower, and Shelled Peanuts. 5 lb bag.